Before Christmas I was fortunate enough to be invited to the Liu Institute to give a negotiation workshop to a group of visiting Ugandans. As some people know, but many do not, Uganda has had a large rebel force – called the L ord’s Resistance Army (LRA) – operating in the country’s north for over 20 years. What are the likely consequences for the decision-maker saying a) yes; b) no? So what does this analysis give us? It gives us a window into the interests and concerns that we have to address in order to craft a proposal that our target is more likely to say “yes” to. In the above case Kony has legitimate concerns about the safety of these women and children should he release them back to their communities (in an effort to seek revenge against him an aggrieved individual might try to attack someone who is believed to be one of his wives or children). More importantly, life at the head of a rebel army in the African bush is fraught with danger – Kony can never show any sign of weakness lest he be overthrown. As such he can only say yes to a proposal that affirms his power and does not weaken him in the eyes of his soldiers and subordinates. Also important is the fact that “releasing” these women and children would be a tacit acknowledgment that they had been kidnapped in the first place – something he is unlikely to want to do since that would strengthen the legal and political case against him. 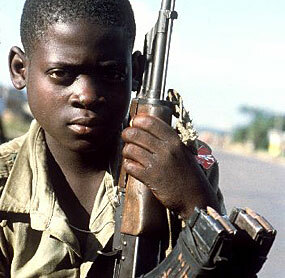 There are of course, some who will argue that Kony is not a rational actor – that he is a murderer and a sociopath. The problem here is that if you adopt these as starting points where do you go…? How do you negotiate with him? Kony himself is alleged to have said “I’m not evil. I’m not stupid, I’ve built this whole army.” We can debate whether or not Kony is evil, but one doesn’t survive for 20 odd years as the head of a successful rebel army without a) being extremely smart; and b) possessing a finely (even ruthlessly) honed sense of self-interest. As difficult as it is to negotiate with someone like this we must appeal to these traits to be successful. Your odds will be better than negotiating with someone who is truly crazy. This entry was posted in negotiation and tagged Africa, IDP, Kony, LRA, negotiation, Uganda on January 21, 2008 by David Eaves.